Astrogeographical position of Warsaw for morphogenetic field level 1 which describes the international and global resonance of the capital and political center of Poland: for field level 1 both coordinates of the region of the City of Warsaw are located in aristocratic air sign Libra at 11° and the other at 5° Libra. The resonance of Warsaw with Libra as the sign of aristocracy, princesses and princes is reflected in the city`s unbelievably rich inheritance of palaces. Libra is a very rare astrogeogrophical factor in national capitals: among the 27 EU members it is only Amsterdam (4°LI), Lisbon (11°LI) and London (24°LI) that share a coordinate one resonance coordinate in Libra the sign of openness and gates rather than of fortresses. Scorpio for example the actual sign of fortresses is a factor at 10 EU capitals. Libra so stands for the ideal of higher culture, aristocracy, justice and of a balance among the single parts of a country rather than a centralistic capital as for example Paris, Moscow, Washington or Beijing. But Libra should not be misunderstood as a mere trait of the weakness of a central government. For my argument here read my documentation on the Libra traits in chinese culture at the end of my article Libra as the sign of symmetry. I suggest to consider the position of Warsaw with both coordinates in an air sign as a parallel (only to a limited extent of course) to the double Gemini resonance of the Germany field for 622,08 km squares according to my system of astrological geomancy. The double resonance of air signs relates to the instability and centerlessness of areas: in the case of the Germany field it resonates with the absence (not a lack) of a central capital and government until the late 19th century. In the case of Warsaw the double air sign resonates with the territorial instability of the territory ruled from a long-term central capital. View of Cracovia (Cracow) near the end of the 16th century. Astrogeographical position of Kraków for morphogenetic field level 1 which describes the international and global resonance of the first capital of Poland: Kraków is located at 29° in self-protective earth sign Virgo sign of reason, health, optimal use of ressources and 28° in highly alert and defensive, solid fixed water sign Scorpio sign of strongholds and bunkers. 28°Scorpio relates to the important role of tradesman guilds. 29°Virgo is really stunning as conjunct with the resonance degree of Berlin. Nicholas Campion suggests the proclamation of Poland of 5 November 1916 during WWI as a possible chart for the modern Poland. An astrogeographical verification explains the 2nd half of WWI, the Russian Revolution and years after WWI period as a time of intense pressure on the existing status quo in Warsaw. This era terminated with the role of the Russian Tsar as the king of Poland and the German and Austrian occupation “with the help” of the square transit of Pluto to Warsaw with its climax between August 1916 (4°Cancer) and June 1921 8°Cancer). 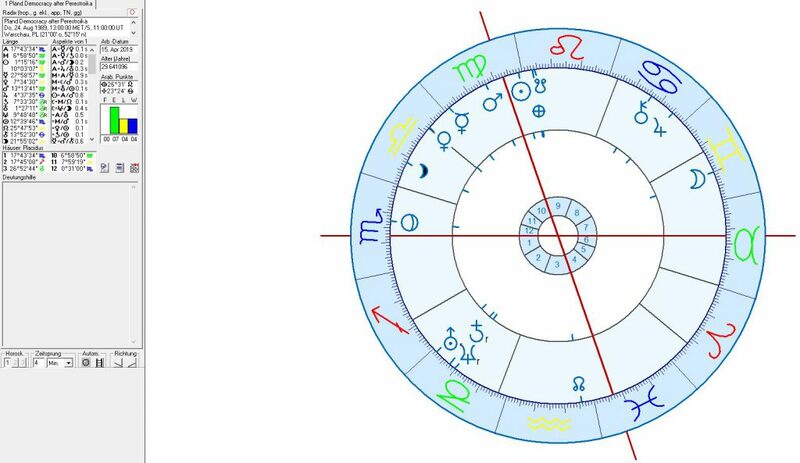 Astrological chart for the proclamation of Poland on 5 November 1916 calculated as midday chart (no exact time data) with an exact Pluto to the government in Warsaw. The proclamation of an independent Poland through the pseudo-emperors of Austria and Germany created a factually dependent but legally existing state in the conquered “russian” territories of Poland. The term “puppet state” used for its first stage is fascinating in terms of resonance of the semantical with the morphic field. The proclamation was part of the historical processes “brought about” by the transit of Pluto the planet of metamorphosis and the pupa stage of butterflies over the exact square position to the 5°Libra coordinate of Warsaw from 5° in Cancer the sign of the national morphic field of a country. An astrogeographical analysis has to come to the conclusion that the decisive entry of the United States into WWI was the most important factor for the autonomy of Poland after 120 years of foreign role. This is because Pluto transited the 6°Cancer astrogeographical resonance coordinate of the US capital in Washington during this period. This means that the USA had the best of cards to exert pressure on the foreign rulers over Poland before that Pluto transit. This strong square resonance between Warsaw and Washington is of course a natural aspect of tension but as can be concluded from the grand cross at at he basis of the EU founding members such astrogeographical squares do include an option for even more intense cooperation in international and global relations of nations. a similar constellation but with a lot more problematic impact is the square aspect of th 11°Libra coordinate of warsaw to the astrogeographical resonance degrees of Berlin and 10°Cancer and Moscow at 12°Cancer. This rare aspects can be used to examine the role of warsaw as a bridge between the two – but has in history led to the experience of being crushed in between the sphere of interest of the two. especially the hypercentralistic and hyperexpansive Russia has often dominated polish territory. 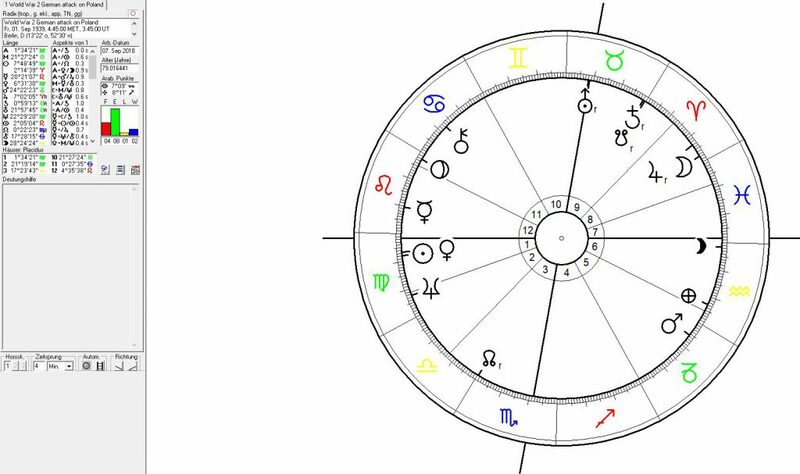 Astrolofgical chart for the Polish inependence of 1918 with Pluto excactly square to Warsaw and still not one single planet in Libra the resonance sign of Warsaw. The capitulation of Russia due to the Russian Revolution of 1917 was followed by the capitulation of Germany and Austria on 11 November 1918 allowing the Polish army under General Pilsudski to take over control over Warsaw on the same day. 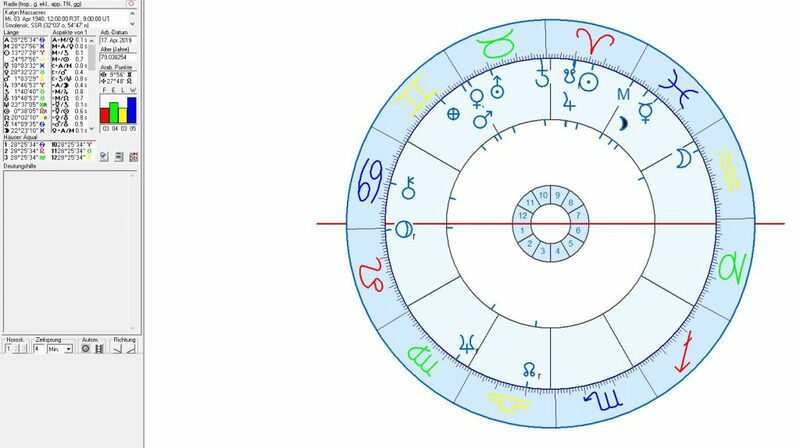 Pluto occupied 6°Cancer explaining the fact that the German forces and administration were forced to leave the city and country on the same day. The Molotov–Ribbentrop Pact initiated by Hitler divided Poland into a german and a russian part on 23 August 1939. It paved away for the german invasion on 1 September followed by the Russian invasion on 17 September 1939. The absence of direct transits of tension from the outer planets could suggest that the structural causes for the attack did not lie inside of Poland. Jupiter the planet of hunting, aiming, chasing for success, victory and expansion was at 7° Aries the sign of action, speed and warfare and conjunct the Moon exactly opposite the 5°Libra astrogeographical resonance degree of Warsaw. This constellation describes the lust for war, fighting, dominance and murder and possibly even the use of amphetamines by Hitler armies during the Blitzkrieg. On 2 October 1940 al Jews from the Warsaw area were ordered to gather at the Warsaw Ghetto area. This act was the early preparation for the genocide committed against the european jews by the fascist german regime in the years to come. 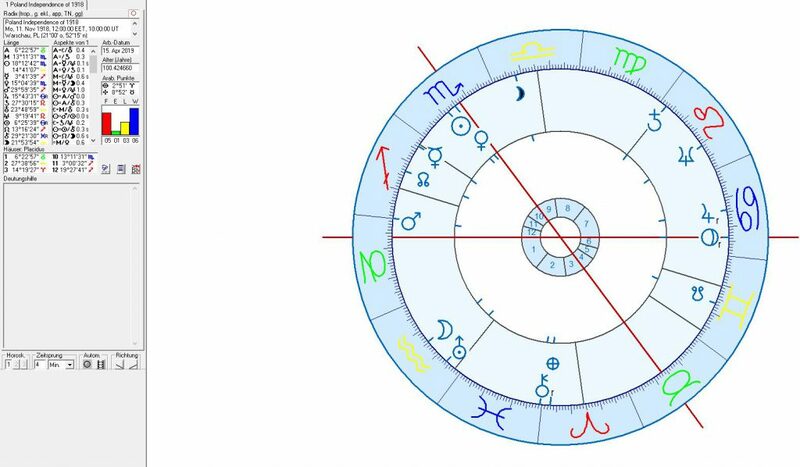 The chart had the Sun as the planet of centralism at 9° Libra and the North Node indicator for aims at 11°Libra exactly conjunct the 11°Libra resonance coordinate of Warsaw. The emission of a 1st radio message from a “Polish Liberation Committee” from the City of Cholm has been identified as the start of the soviet rule over Poland by polish astrologer Rafal Prinke. From an astrogeographical point of view the chart can be seen as a clear reflection of the coming pressure exerted on the polish capital after the liberation of Poland from the Nazi-German horror regime. Neptune was approaching the exact cojunction with the 5°Libra astrogeographical resonance coordinate of Warsaw indicating the suffering and paralysis of Warsaw, its destruction by the Nazis but also the complete extinction of the german occupation. But at the same Neptune also stood for the subjugation of Warsaw and Poland under the Soviet sphere of interest which was effective until the Perestroika era. The simultaneous square transit of the faster moving Saturn the planet of exorcism at 4°Cancer to the 5°Libra coordinate of Warsaw stood for the rising pressure on the status quo and the german occupation. In the course of the Perestroika movement Poland was allowed to decide for reforms and for the creation of a non communist government which was first established on 24 August 1989 under the 3rd Saturn-Neptune conjunction of the 20th century with Neptune in opposition to Moscow and Berlin at the same time. Uranus the planet of globalisation, seflf-finding and revolution at 1°, Saturn the planet of stabilization and exorcism at 7° and Neptune the planet of spirituality at 9°Capricorn were all square to the 5° and 11°Libra resonance coordinates of the government in Warsaw explaining that its end had definitely come. It is fascinating to consider such effects of the the superconjunction of these 3 planets and on a capital that has both resonance coordinates so close to each other. Jupiter the planet of victory, mental understanding and healing was effective from a degree of conjunction with the 6°Cancer astrogeographical resonance coordinate of Washington at this moment in time, making the US government appear as the winner, good uncle and healer in the whole situation. This day is also the first time in all the Polish independence charts when one of the 12 major systemical planets was conjunct one of the astrogeographical coordinates of Warsaw: it was Venus the ruling planet of the two Libra coordinates of Warsaw that appeared over the City making what seemed like a major return transit to the polish capital on that day promising peace, territorial autonomy, income and wealth. 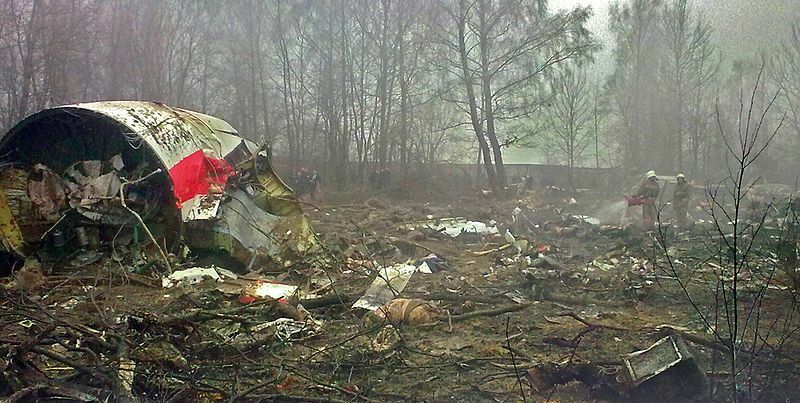 One of the most tragic ever plane crashes in history was the the Polish Air Force Tu-154 crash near the Russian city of Smolensk, killing all 96 people on board. Among the victims were the President of Poland Lech Kaczyński and his wife the former President of Poland Ryszard Kaczorowski, the chief of the Polish General Staff and other senior Polish military officers, the president of the National Bank of Poland, Polish Government officials, 18 members of the Polish Parliament, senior members of the Polish clergy and relatives of victims of the Katyn massacre. The plane with the polish representatives was arriving from Warsaw to attend an event commemorating the 70th anniversary of the Katyn massacre which took place near Smolensk. The reason for the crash was low visibility through heavy mist over the airport. 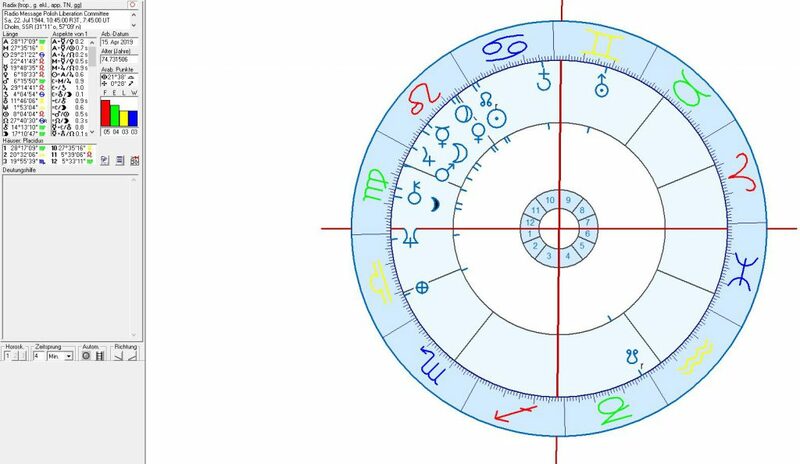 Astrological chart for the Smolensk plane crash on 10 Aprl 2010 at 10:41 with the Sun at 19°Aries conjunct the position of Jupiter and the South Node at 20°Aries from the start of the Katyn Massacre of 1940 . 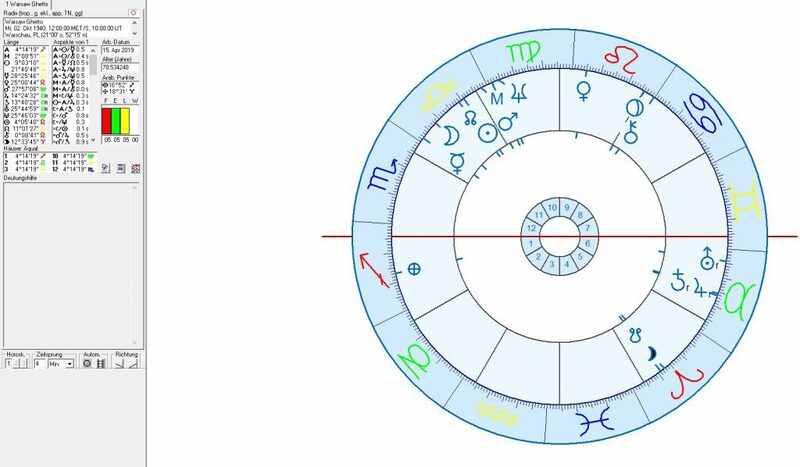 The astrological factors that explains the heavy mist over and humidity over the Smolensk airport were the Moon at 2° in water sign Pisces a degree of deepest depression near midheaven and Neptune the planet of invisibility, spirituality, insecurity and paralysis and the sign ruler of Pisces exactly conjunct midheaven. Pluto the planet of trauma and death was exactly square to the 5°Libra resonance coordinate of Warsaw and had just descended below the western horizon. 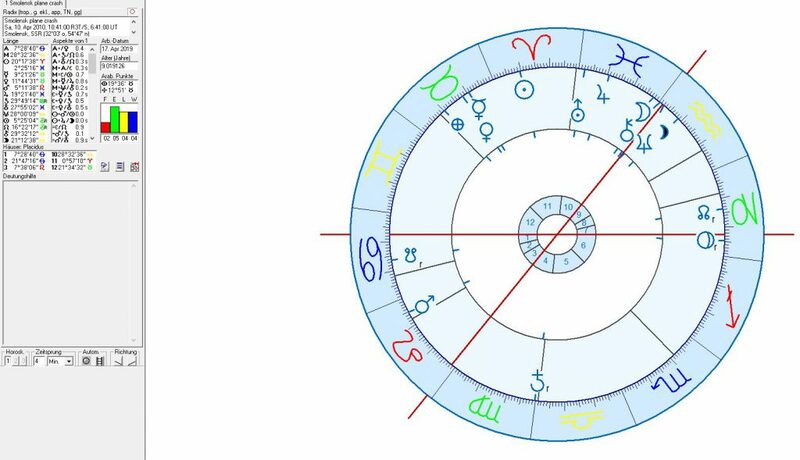 Saturn the planet of control was on the very last degree 29° of Virgo – a position which may be found to have had an effect like a void of course 12th house aspect – because it is the 12th sign from the two Libra coordinates. The Katyn Massacres were begun after 3 April 1940 with Saturn the astrogeographical factor of stabilization of control at 1°Taurus exactly conjunct the 2°Taurus astrogeographical resonance coordinate of Moscow and Pluto at 0°Leo in exact square to Stalin`s capital and government. The Pluto ingress into Leo in June 1939 had marked the Hitler-Stalin Pact of August 1939 and the start of WW2 on 1 September 1939. The square from Pluto appeared as the fascist german threat against Moscow which was itself under a fascistoid system. 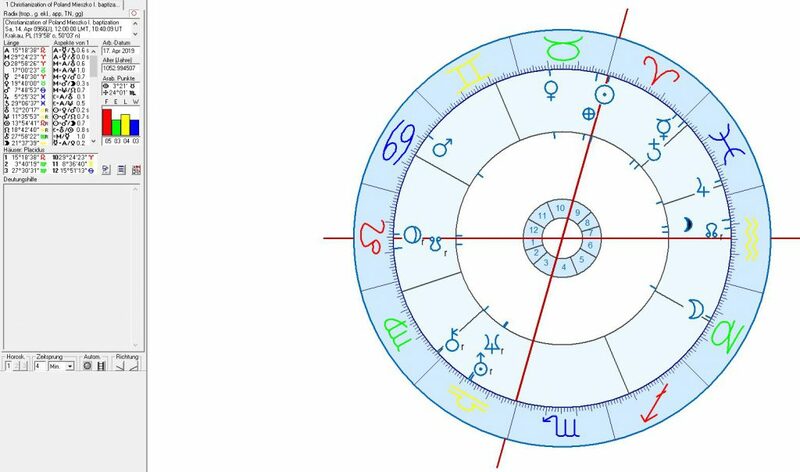 The Sun as ruler of Leo and thus of the position of Pluto was at 13°Aries right opposite the 11°Libra resonance degree of Warsaw thus bringing up the full impact of Pluto against Poland through the german-russian hunger for terror and murder (Pluto in Leo). 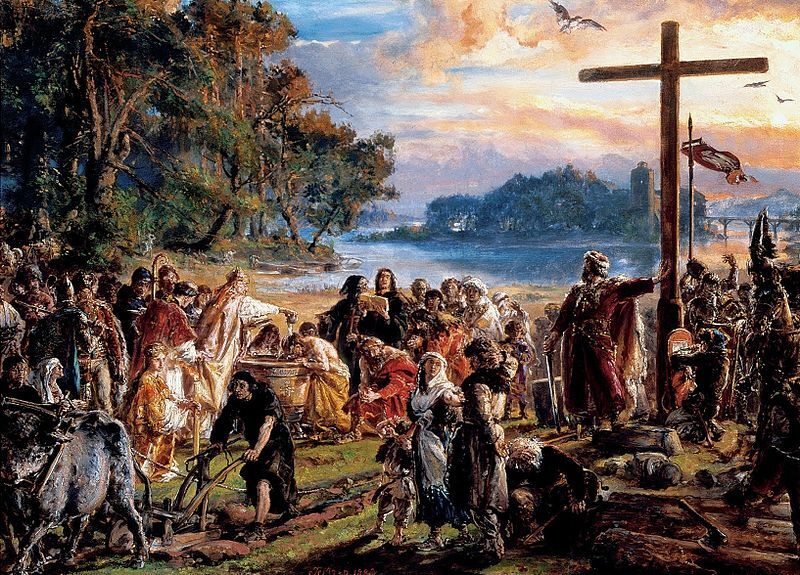 Christianization of Poland A.D. 966. The personal baptism of Mieszko I, the first ruler of the future Polish state, and much of his court is considered as the initial moment in the history opf catholic Poland. The conjunction of Neptune as ruler of spiritual water sign Pisces the sign of spirituality, reconnection and the catholic church occupied by Jupiter the planet of the priest castes, healing and shamanism with Uranus the ruler of spiritual air sign Aquarius the sign of revolution, self-finding, globalization, abstraction, the sky and paradise exatly over the 11°Libra resonance coordinate of Warsawis a stunning and unbelievably strong resonance aspect here. It may explain the particularly strong standing that catholic religion still has in Polish society until today. Although Uranus-Neptune conjunctions are often aspects of paralysis they do contain also the potential for a congruence and harmony of the peaceful and quiet acceptance of the problems of society and the material world (Neptune) with the readiness for rebellion, revolution, self-liberation, independence and socialism (Uranus). Neptune conjunct Warsaw explains the future dependence of Poland from the spiritual “intoxication” and authority of the Pope and catholic church in Rome – just like it was the case with the Holy Roman Empire and todays` Germany. The baptism of Miesko was actually a step that brought Poland in strong relation with the HRE and its Saxon emperor Otto I. (the Great) and of course in order to seek its support and protection particularly against Hungary and Russia.